When you are interested in buying one of our healthy horses and can offer a horse friendly and loving home, please do not hesitate to contact us for more information. At this moment Choki is for sale. Contact us for more information. At Havana Horses we breed an Indonesian all round sport horse; the strong and hardy Indonesian pony crossed with the Australian and New-Zealand Thoroughbred, suitable for trail rides and trekking, dressage and jumping. Our horses are of local breeds (Sandalwood, Sumba) crossed with Australian or New Zealand Thoroughbred, all born in Indonesia. 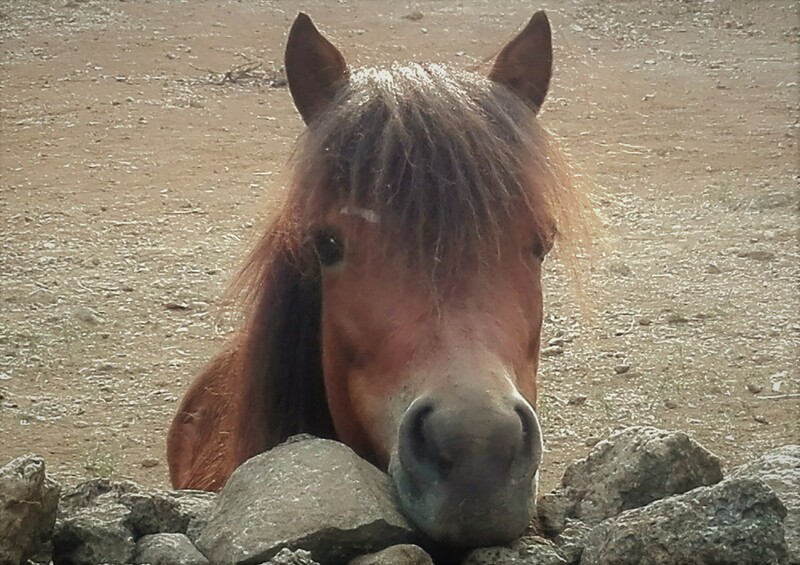 Our robust horses have different personalities and temperaments but in general are curious and friendly, and amazingly sure-footed. All our horses go barefoot. What delight! Our gorgeous little mare Fitri, born at Havana Horses in 2008, in 2016 gave birth to April. A tremendously pretty filly, and just as energetic as her mother! Astro is a lovely yearling now. How he resembles his sire, Choki! 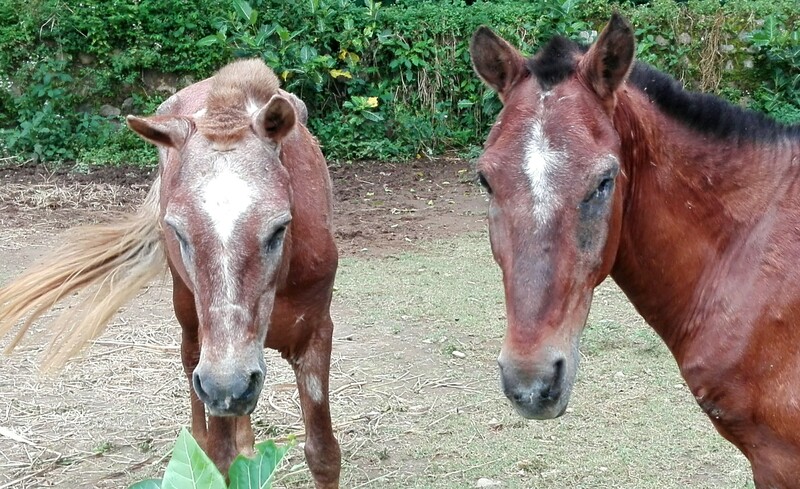 These two local ponies were rescued in 2016 by an Australian lady from their exhaustion and malnutrition in the Gili Islands in Indonesia. They worked hard to collect the trash of the tourists, in harsh circumstances on an island where there is neither fresh water nor grass available for the horses. They were brought to Bali but unfortunately after some time their rescuer went back to Australia, after which they were moved someplace else in Bali. 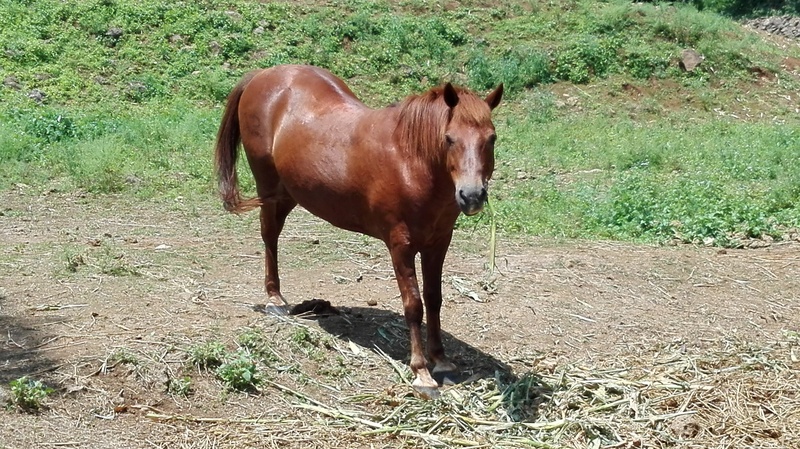 JAAN intervened after finding them completely wasted in a place suitable for dogs, not horses. 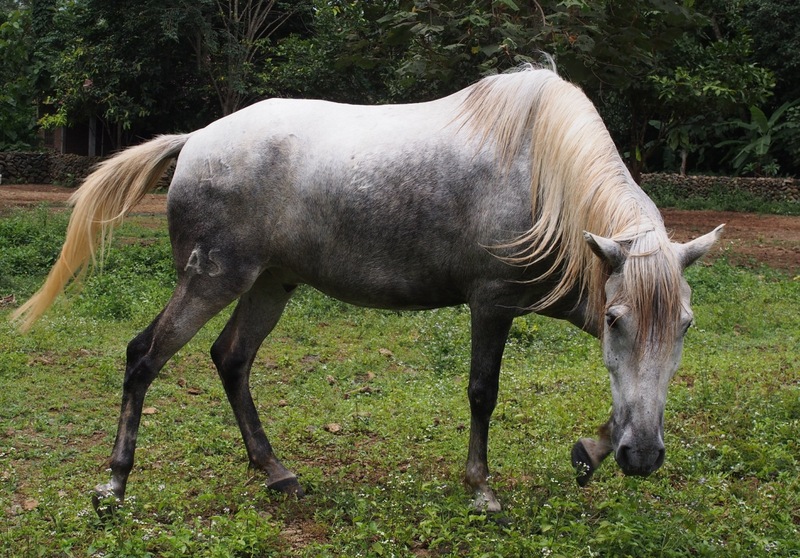 JAAN tried to relocate these two ponies, but nobody in Bali or Jakarta wanted them. Havana Horses was contacted by JAAN and we have adopted these two beautiful strong souls. Both are blind in one eye and their bodies show a lot of scar tissue. They certainly have gone through a whole lot! Now at Havana Horses they live a peaceful and natural life in the herd and will be loved, forever! If you want to sponsor the upkeep of Bert & Ernie, please contact us. 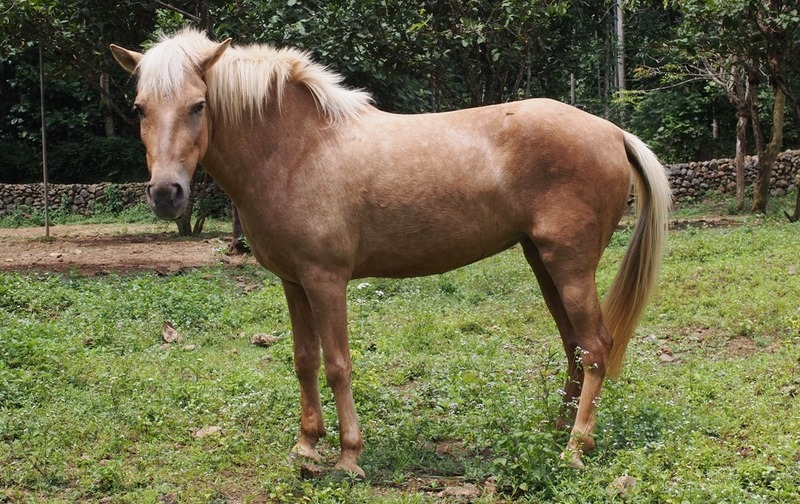 ChaCha Dun palomino mare (2007), Indonesian Sumba pony. ChaCha is cheeky ChaCha! 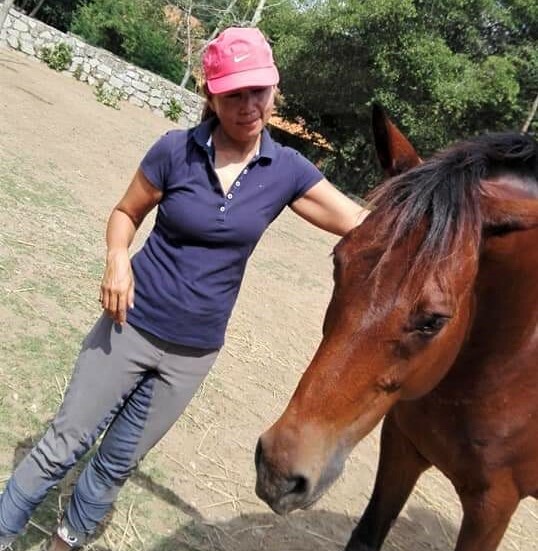 The owner of ChaCha decided to board her at Havana Horses to enjoy natural herd life to become fully healthy and strong, before she will move to her new home in Spain. 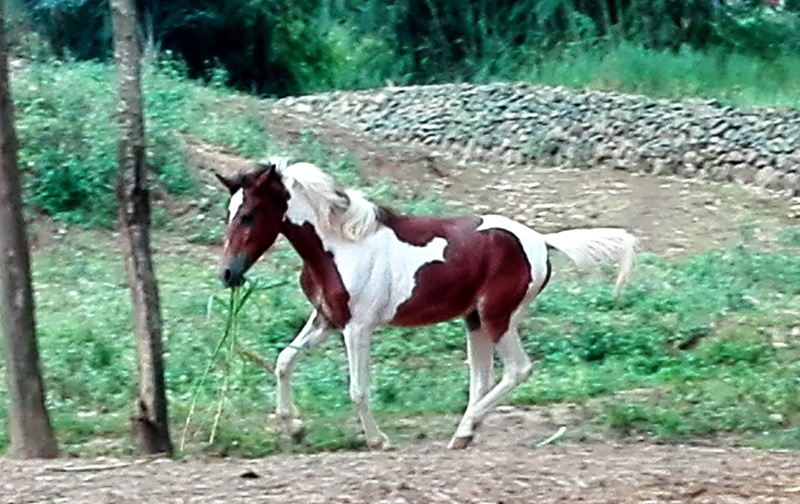 Chika Tobiano pinto mare (2014), Indonesian pony. Chika's owner, our young student Naila, is very happy with this sweet and pretty pony! Receiving fundamental straightness training of groundwork, work in hand and longeing, now Naila is able to ride her temperamentful Chika! 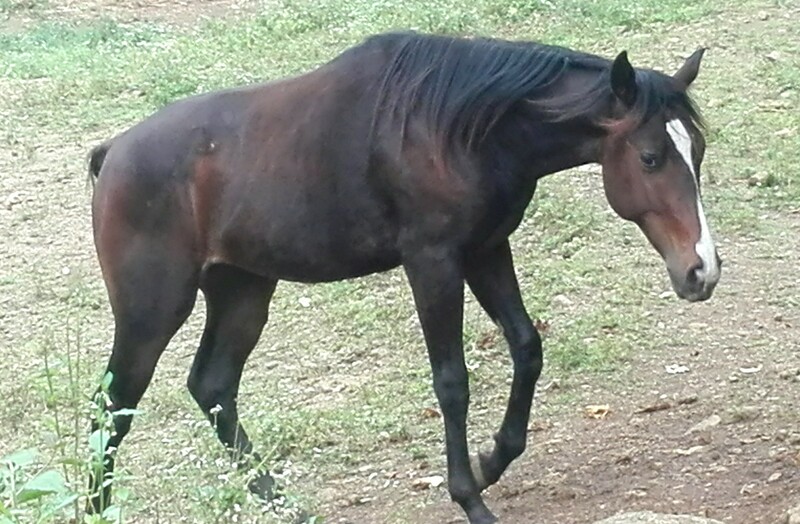 Choki Smokey black gelding (2014), Local TB. 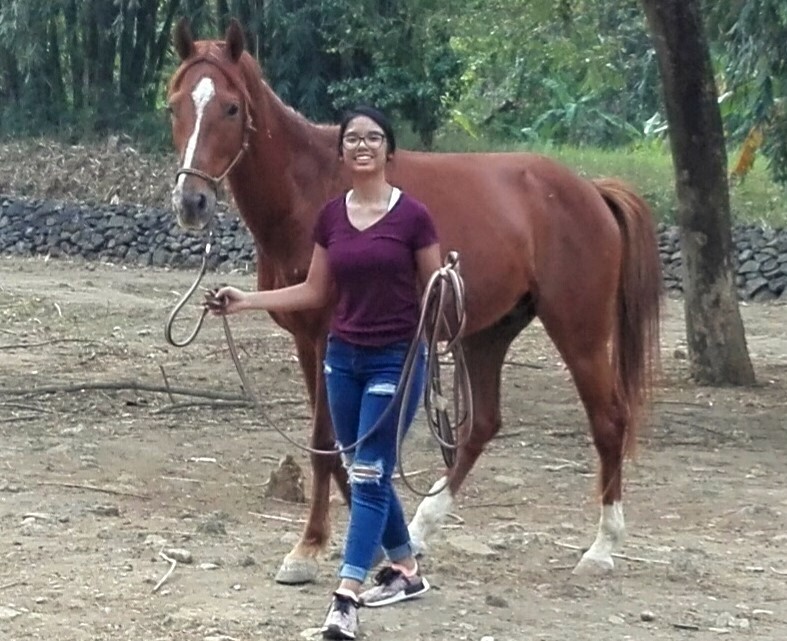 Choki's owners have a beautiful strong bond with this strikingly handsome gelding. His color changes with the light! Being just 4 years old we give him enough time to mature. However, he already loves the work on the ground and he is such an eager learner! Donovan Grey gelding (April 14, 2006, passport), Local TB. He came to live with us when he was only one month old, and since then has given us quite some food for thought and many valuable lessons - being a very clever and sensitive, but also dominant horse with a number of physical issues. Now that he is mature though, he essentially is a very calm, trustworthy and agile riding horse. Besides, Donovan is the ideal photo model for prewedding shoots! 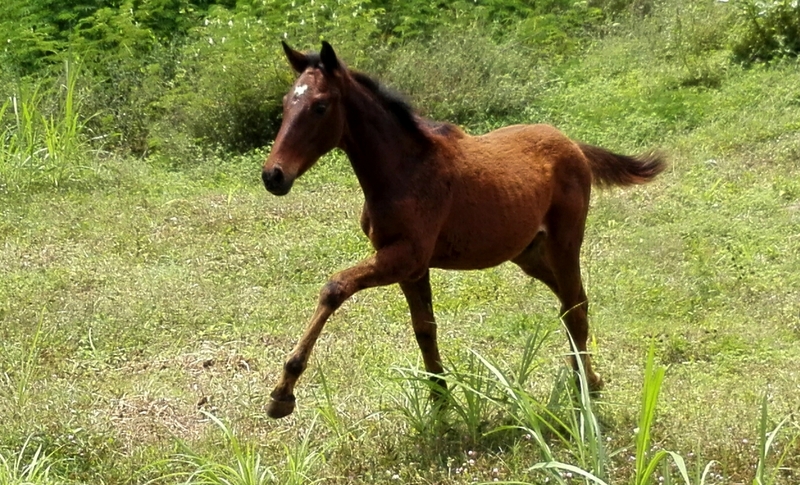 Fitri Chestnut mare (September 23, 2008), Sandalwood, Super Emas x Local TB. 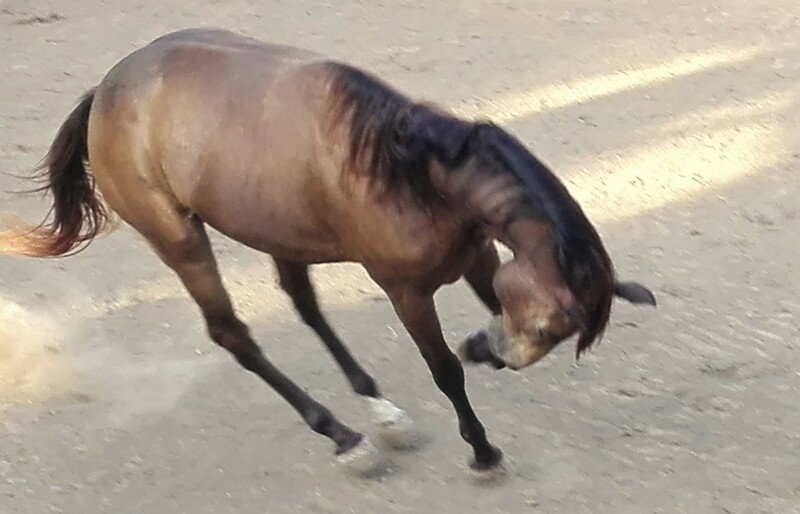 Our first born in the herd at Havana Horses, Fitri has grown into an independent, clever and sensitive mare, incredibly energetic, sure-footed and light on her feet. Fitri knows how to carry her body with balance and pride. Moreover, she is a great teacher as she loves to connect with people. How she takes after her father! Foxy Chestnut colt (September 17, 2017), Local/TB. Although he wasn't planned for, we are absolutely thrilled with this confident and sturdy little fella, April's little brother, and another grandchild of Super! Jasper Bay gelding (2012), Local/TB (5th generation). With his 6 years and 162 cm height this young boy has been growing fast into a tremendously handsome fella! He has even become the proud father of our recently born foals April, Lorenzo, and Foxy. He is a horse that likes to work together with people and carry a rider, with pleasure! Ah, how his sweet and soft eyes just seem to promise you the world...! Lola Bay mare (2009), Indonesian/Warmblood. Lola is boarding at Havana Horses to deliver her baby in July 2019 in natural circumstances. 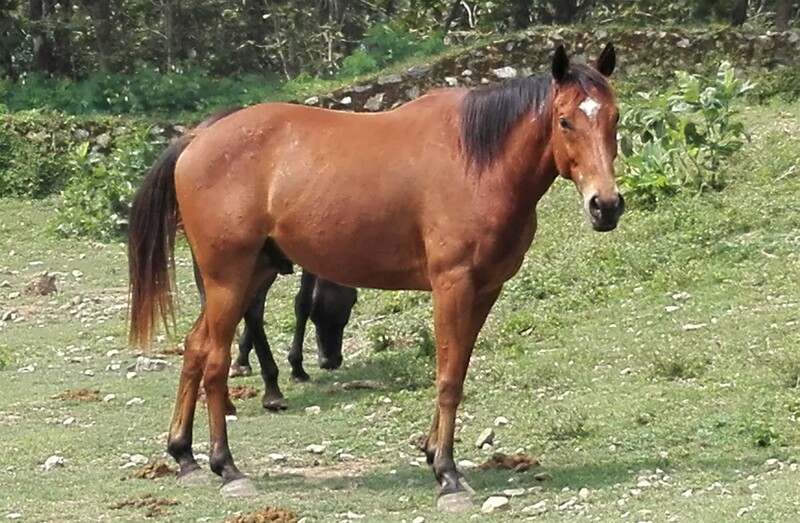 Her owner also wishes for Lola to become more trusting and relaxed, using our natural horsemanship training methods. By living in the herd she has already become such a different horse! 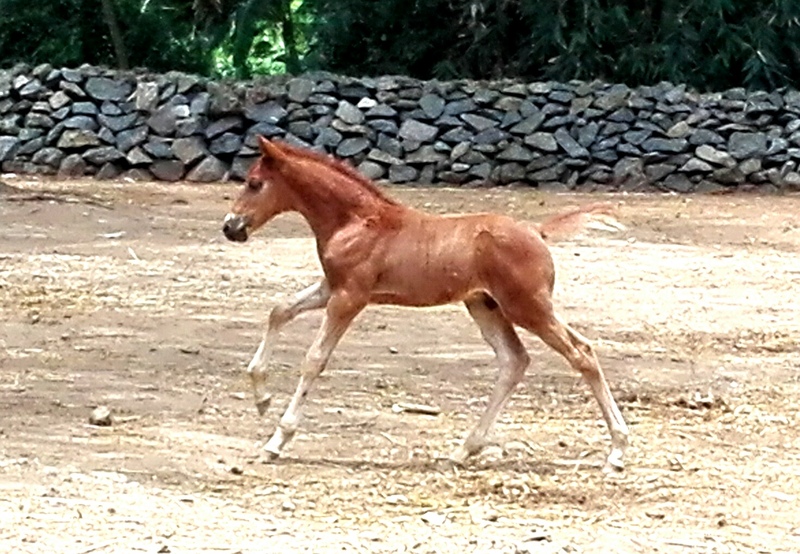 Lorenzo Bay colt (May 13, 2016), Indonesian TB, Micha x Jasper. Lorenzo, in this photo such a handsome foal, has turned two years old already! 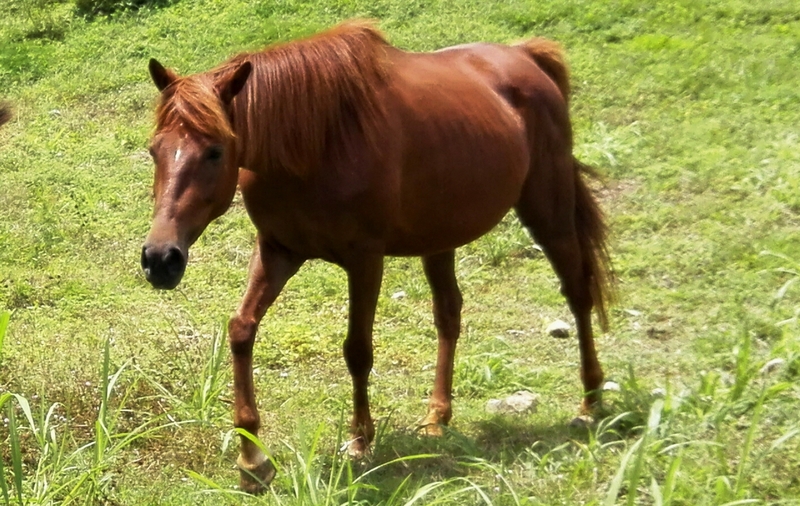 Lucky One Chestnut gelding (2009), Indonesian/Warmblood. His previous trainers gave up on him, as he was 'unmanageable and untrainable'. Luckily his owners sent him to Havana Horses for a second chance! He is a severely traumatized and extremely sensitive horse, but he has gained so much more calmness already by our gentle approach. 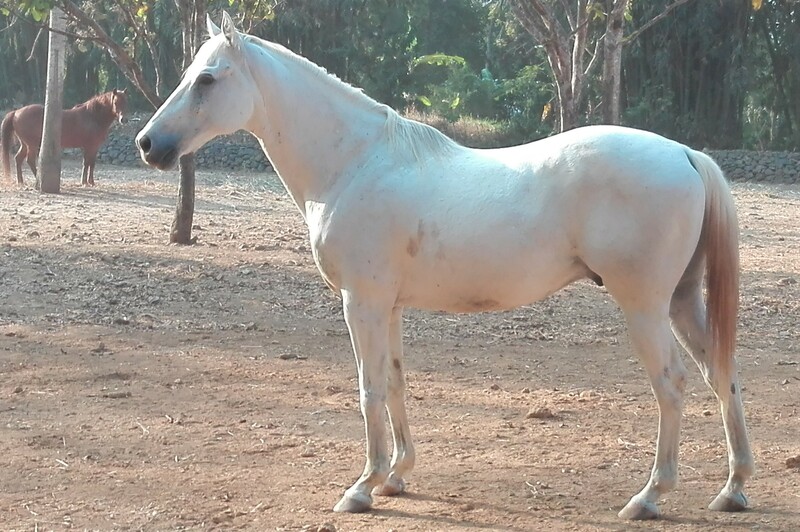 Rangga Silver taffy gelding (2008), Sumba/Sumbawa. 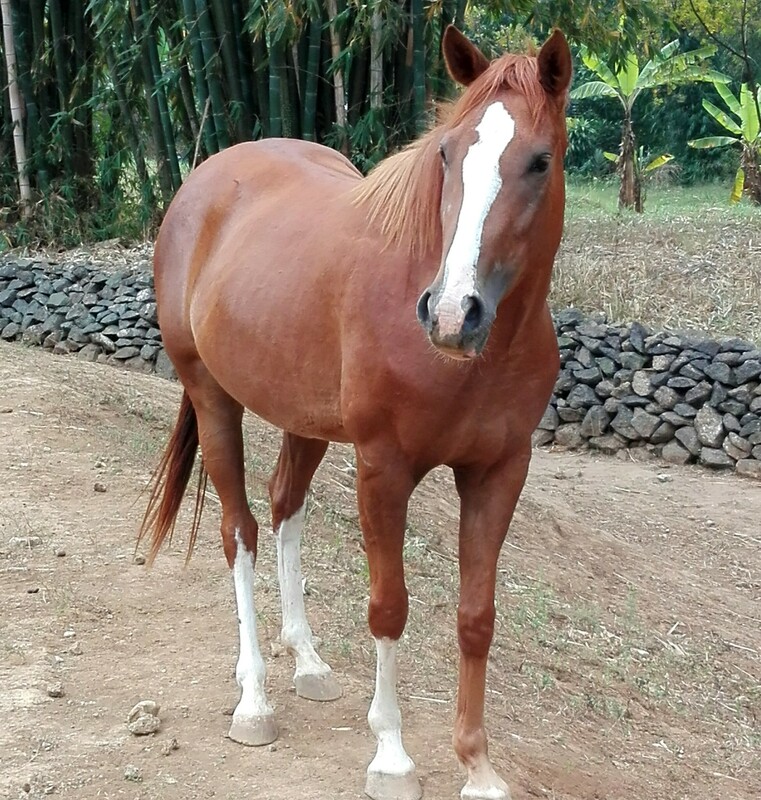 Rescued by JAAN (www.jakartaanimalaid.com) from a cruel death on the streets of Jakarta, Rangga has been adopted by Havana Horses to start a new life in optimal circumstances and good health. At the time when Rangga was rescued, he suffered from severe food poisoning causing acute founder, so painful that it was impossible for him to walk. With his delightful character, now he is in blossoming condition! Unfortunately his feet will never heal completely, but with the use of hoof boots, he nowadays can even join in a few lessons. Rangga's upkeep is sponsored by our Dutch friends Jack van der Leden, and Martine Kempers. You can also sponsor Rangga and/or the Jakarta Animal Aid Network by making a donation. For more information do contact us. Sandy Bay mare (2010), miniature pony. What a delightful pretty riding pony she is, clever and strong. And she is oh so sweet with the little riders! Super Emas Chestnut gelding (2003), Sandalwood. We bought him all these years ago as a "Super Sandalwood", and when the sun shines on his coat it looks golden, (emas); that is why we call him Super Emas. 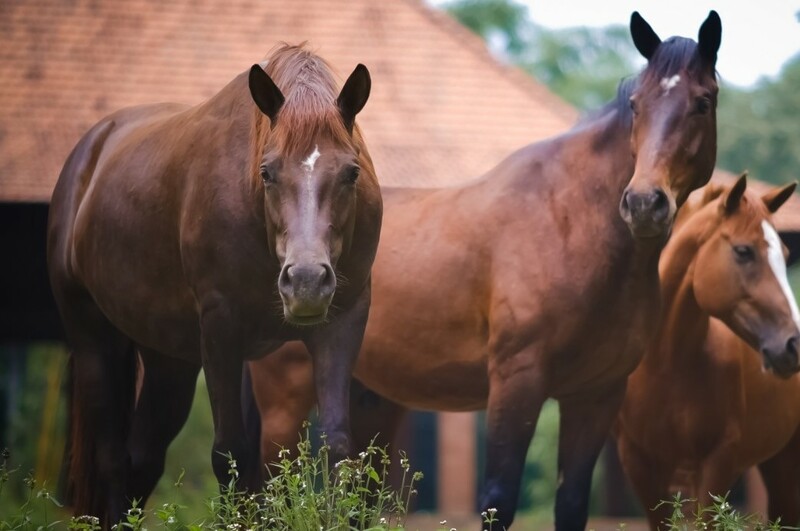 Under his wise and patient leadership, the Havana Horses herd is a peaceful, happy and healthy herd. He is indeed or Super horse: safe with beginners; patient with intermediates, and wise with advanced riders. Whether it is dressage, jumping, racing, or on the trail, he is Super good at it...! Moreover, he is the proud grandfather of April and little Foxy! We are thoroughly delighted with Yente! She was born in the paddock among the other horses and has been raised by all members of the herd. She has grown into a, both physically and mentally, healthy and well-balanced mare. How pretty she is with her white stockings and beautiful blaze. We cannot believe she is already 4 years old now!